Our School Council consists of 20 councillors, one girl and one boy from every class from year 2 upwards. Each of these children was elected by their classmates to represent them in the council meetings. We hold these meetings every fortnight. We have class meetings on the weeks in-between to report back to the class and discuss anything that they want taking to the council. The council deal with many different issues ranging from what games should be allowed on the playground to whether classes should be allowed a pet. Many of our councillors enjoy the experience so much that they try for election again the following year or go on to be councillors in their secondary school. This week the school council met with Jane from Living Streets. She told them all about the WOW, walk to school once a week, challenge. The councillors all took turns in using the travel tracker so that they could help the rest of their class to use it. The councillors will encourage all the children in their respective classes to walk to school at least once a week. The class with the highest number of walkers each month will receive a trophy to keep in their classroom until the following month. 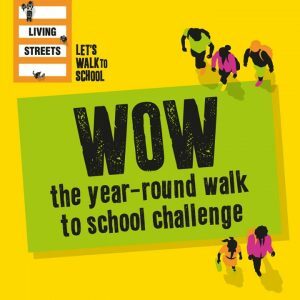 Every child who has walked to school at least once a week during the month will receive a badge. “I love being a school councillor. We can be a good example to other children and if they feel like they can’t say anything, we can speak up for them” Kirsty. “I like being a school councillor because I can help people” Eva. “While I have been on the school council I have helped to stop children wasting food at dinner time” Thomas. “By being a school councillor I feel I am helping our school to be a better place” McKenzie. The school councillors met with our digital leaders, one of our parents, Mrs. Griffiths and Mrs. Smith, the ICT coordinator to discuss internet safety. We talked about our jobs as councillors and digital leaders and how we can help to make everyone aware of how to stay safe on the internet. We discussed online bullying and decided we will put together an assembly for the KS2 children about this.